Our fee helps cover the costs of BHAW so that all funds raised by our community go directly to each cause. A major medical challenge is the translation of promising research therapies to patients. The inability to effectively treat chronic pain as well as spinal cord and brain injury and diseases are significant public health crises facing Canada today. One in five Canadians experience chronic pain, imposing huge personal and societal costs. The lifetime cost of a single patient with spinal cord injury is $3 million dollars and traumatic brain injury is one of the leading causes of disability in North America. Our group has been working on understanding pathological mechanisms, developing potential therapies and translating these therapies to humans. Please join clinical and basic science researchers of the uOBMRI Spinal Cord and Brain Regeneration and Repair (SaBRE) team to hear about our ground-breaking work that is bridging the translational divide between mechanistic studies in model systems and new treatments for patients. We will begin our evening with a patient perspective and then have presentations from our experts. Our team is combining rodent models of pain, spinal cord and brain injury with innovative human spinal tissue and stem cell approaches to identify potential treatment strategies. Using a bench-to-bedside-and-back approach, we are uncovering both opportunities and challenges for translation that are essential for potentially improving the success of the therapeutic development pipeline. How will we better diagnose and treat neuromuscular diseases such as Amyotrophic Lateral Sclerosis (ALS), Myotonic Dystrophy (DM), Duchenne Muscular Dystrophy (DMD) and Spinal Muscular Atrophy (SMA)? Although many neuromuscular diseases (NMD) were previously incurable, recent breakthroughs in the identification of these disorders are now revealing opportunities for potential therapies. This session will highlight new initiatives to help build bridges between clinicians and basic scientists to develop better therapies and faster methods to diagnose patients with NMD including ALS, neuropathies and muscular dystrophies. Dr. Robin Parks and Dr. Jodi Warman Chardon will focus on the development of the Ottawa research and clinical network of physicians and researchers to increase world-class NMD research to rapidly move promising therapies into the clinic. Dr. Michael Rudnicki will discuss his advances of stem cell biology and satellite cells in Duchenne Muscular Dystrophy. Dr. Ari Breiner will review upcoming clinical trials in ALS and neuromuscular diseases in Ottawa. Location: uOttawa, Roger Guindon | Amphitheater 2005 | 451 Smyth Rd. How do we perceive? Acquire new skills? Recall past events? Recognize familiar faces? Guide our everyday decisions based on our past experience? How and why does our mood affects these decisions? How do neurological and psychiatric diseases alter these functions? These are amongst the deepest and most complex questions that the field of Neuroscience seeks to answer. Whereas ongoing research is revealing which parts of the brain participate in several of these functions, the next frontier lies in understanding the elusive neural code and the nature of the neural operations occurring in brain circuits. Moreover, individual brain cells and circuits constantly adapt during our everyday experience: How does this plasticity underlie the stunning ability of the brain to learn? Neuroscientist Prof. Béïque, neurophysicist Prof. Longtin and neuroscientist Prof. Naud will outline some of the current theories and discoveries that are shaping our still rudimentary understanding of how brain circuits create our ability to dynamically and purposefully interact with the outside world. Prediction and Modeling of Parkinson’s – Are We There Yet? We are pleased to welcome CTV News Ottawa Sports Director, Terry Marcotte as our emcee! This update will focus on two aspects of Parkinson’s research, one clinical, the other basic science related. In late 2017, several clinical trials started for patients suffering from typical Parkinson disease as well as for those with an atypical variant, which is called PSP (as in progressive supranuclear palsy). These clinical trials are targeting disease elements that have been convincingly identified to play a role in the development of parkinsonism, and Ottawa patients are participating. Dr. Schlossmacher will briefly highlight these and then point out a new initiative that seeks to identify those persons who are at highest risk to develop Parkinson disease in the future. In the second portion, we will explore recent advances in understanding the role of a toxic protein – alpha-synuclein – in the context of Parkinson’s disease modeling. Alpha-synuclein is a hallmark protein that clumps up throughout the brain of individuals with Parkinson’s. However, how this “clumping” occurs and which aspect of this process is toxic to brain function remain unclear. As such, a large body of work has been dedicated to build better animal models of alpha-synuclein aggregation to mimic the human disease. Dr. Rousseaux will highlight some of the newest pre-clinical models that have not only shed insight into the disease process but may serve as good platforms for testing new drug interventions, concluding on some open-ended questions that the field currently faces. 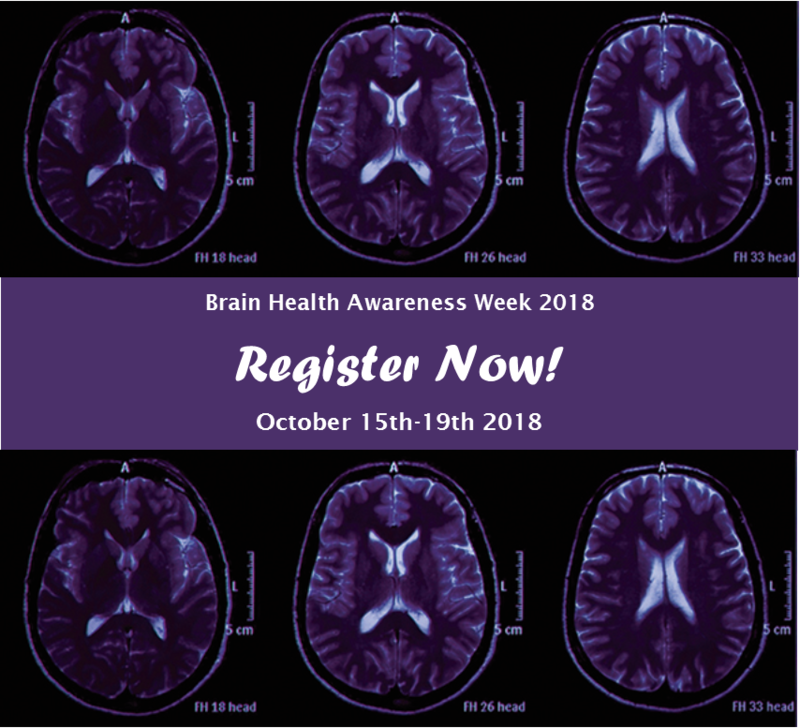 Also, join us for the proclamation of Brain Health Awareness Week with Mayor Jim Watson. Over 1.1 million Canadians are affected by memory loss and dementia and this number will almost double over the next 15 years. What is memory? How are memories created? Where are they stored in the brain? What is memory loss and how does this effect executive function, decision making, navigation and daily function? · Innovations to support people with memory loss and their caregivers. The evening will also include an interactive showcase profiling exhibits of the human brain so you can see where memory is stored, cognitive games and technologies supporting individuals with memory loss, and other technologies to support people caring for those with memory loss.